Which Screen Is For Me? Choosing a new display is never easy. There's a mass of different models to consider, many different specs to understand, and a whole range of different sizes to choose between. With prices of LCD displays falling nicely over the last year, many buyers are now looking to the larger screen sizes which have begun to flood the market. Gone are the days of people looking at 17" or even 19" screens. Nowadays, 20, 22 and 24" models are abundant, and affordable; and users are drawn not only to the extra screen real estate, but to the extra features and technologies these models offer. This article will hopefully help you with your decision. We've split the following into 3 sections, looking at each of the 20, 22 and 24" sectors in turn. We've picked out arguably the best and most popular models available at the time of writing, and offered some insight into how you might go about choosing your new screen. About a year ago, the 20" sector was starting to become the popular choice for potential new buyers. Nudging out the stagnant and oversaturated 19" market, the 20" models really began to offer something new; which users wanted to seperate their screens from the average. TN Film was dominating the 19" market almost exclusively, and the move to new panel technologies was becoming favourable. The release of MVA, PVA and IPS based panels into the 20" sector helped attract people to the more expensive, but superior, larger screens. 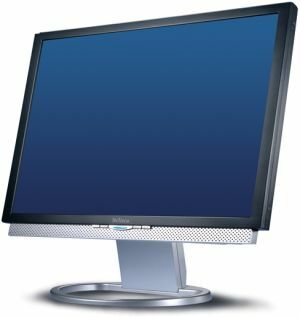 Add to this the extra resolution offered in the 20" market, and the growing trend to widescreen format monitors, and buyers soon began to forget about the smaller 19" models. At the time, we discussed the 20" TFT Boom, and much of the content remains valid today. 20" models, particularly WS format, are still very popular and there are some excellent models to choose from. TN Film panel, 2ms G2G response time, 800:1 contrast ratio (3000:1 dynamic), 300 cd/m2 brightness, 160/160 viewing angles. TN Film panel, 5ms response time, 800:1 contrast ratio, 300 cd/m2 brightness, 160/160 viewing angles. While Samsung and Dell both tend to offer more premium models commonly with S-IPS or PVA panels being used, both manufacturers also offer a more cost effective solution for those buyers who don't need the performance of the more expensive panels. TN Film tends to be the panel technology of choice for many manufacturers, and tends to be introduced into each sector to help drive prices down, and offer models which can be cheap but still at the larger screen size. The Samsung SM206BW and Dell E207WFP have become very popular as a result, with their retail price at a very attractive ~£210 and ~£195 respectively. The Samsung SM206BW offers an impressive 2ms G2G response time, boosting the 5ms TN Film generation widely used in the 20/22" market with the use of Samsung's RTA (overdrive) technology. The design and build quality of the Samsung is also impressive, and it is also pleasing to find a DVI connection, HDCP supported in fact, present on one of their more budget models. 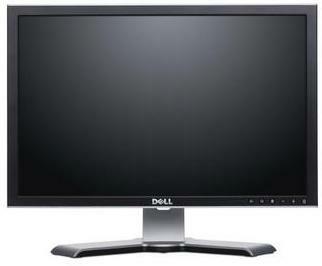 The Dell E207WFP is very well priced as well, and offers a very similar design to the rest of the Dell 2xx7WFP range. The E207WFP lacks some of the ergonomic and connectivity options of the more advanced 2007WFP model, but still offers an attractive design and decent enough specs for an average user. Both these models have become popular in the 20"WS market due to their attractive price and decent performance. Well worth a look if you don't want to spend too much. As ever, TN Film does have its downfalls, and while panels are cheap, the technology cannot compare with VA / IPS based screens in some areas, most noteably in terms of viewing angles. Colour depth is also more limited with 6-bit panel technology being combined with (modern and decent) Frame Rate Control processes to boost the colour palette to 16.2, or even 16.7 million reported colours. Black depth on modern TN Film panels is also impressive as we have seen with other modern panels we have tested in recent months. Response time is good, and while movie playback can be hampered by noise, the panels should offer pretty decent performance in most areas in practice. For the majority of average users, TN Film still holds its place in the market. If you don't want to get a larger screen, then these 20" models would be worth considering. For those who still want something a bit more from their screen, the 20" market does offer some very impressive IPS and VA based panels. AS-IPS panel, 6ms G2G response time, 700:1 contrast ratio (1600:1 dynamic) 470 cd/m2 brightness, 178/178 viewing angles. S-IPS panel, 16ms response time, 800:1 contrast ratio, 300 cd/m2 brightness, 178/178 viewing angles. DVI (HDCP supported), VGA, S-video and composite connections, tilt, height, swivel and rotate adjustments. USB hub. The ever popular NEC 20WGX2 and Dell 2007WFP seem to still come up in any recommendation made for a non TN Film panel in this sector. The NEC offers a very impressive spec and attractive design, but remains at a relatively high price tag of ~£340. There's no denying that this is one of the fastest panels in the market today in practice, and has become a very popular gamers screen as a result. Combine this with the AS-IPS based panel technology which offers 8-bit colour depth, very wide viewing angles and a useful Dynamic Digital Fine Contrast mode to help boost contrast on the fly. Some users are put off by the reflective OptiClear coating, but this is still one of the more premium models in the 20" market, even after all this time. Then there's the Dell 2007WFP. Always renowned for making good TFT screens, Dell have done an excellent job with the 2007WFP, offering a very modest ~£265 price tag at present. While the response time figure quoted is 16ms, Dell have for some reason neglected to advertise the fact that the LG.Philips S-IPS panel used is actually rated as being 8ms G2G by the panel manufacturer themselves. In practice, the screen performs very well in this regard, being almost as responsive as the NEC and much better than it's 16ms response time figure would suggest. 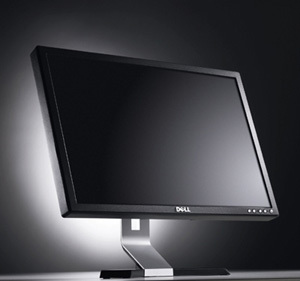 The Dell is also far more ergonomic than the NEC with a wide range of adjustments possible. There is also a wealth of inputs available, along with the increasingly important HDCP support over the DVI interface, something not offered on the European 20WGX2. Above: PixPerAn comparisons of response time on the NEC20WGX2, Dell 2007WFP and LG L1960TQ (4ms G2G rated TN Film panel). Left hand image is best case, right hand image is worse case. Taken from selection of photos of moving car image in PixPerAn. More details in reviews. Both the NEC and Dell offer a more premium panel technology than that of the TN Film based models, and while the price is somewhat higher, especially in the case of the NEC 20WGX2, many buyers are happy to invest in something which offers more features and a more advanced performance. If you want an IPS based screen, these are two of the best to consider. P-MVA panel, 8ms G2G response time, 800:1 contrast ratio, 300 cd/m2 brightness, 176/176 viewing angles. 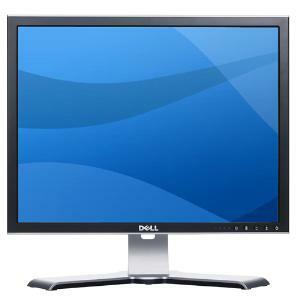 If you want something different, then Dell also offer one of the best 4:3 aspect models in the 20" market, their 2007FP. The spec and performance remain almost identical to the WS format model, being based on pretty much the same LG.Philips S-IPS panel, just in a different aspect ratio. A wealth of connectivity and ergonomic options make this a popular choice. At ~£280 however, it is a little more expensive than the 2007WFP, and I'd probably question why buyers would really consider a non-widescreen model nowadays. Still, it's there as an option. The Belinea 102035W remains one of the few VA based panels in the 20" market. Extremely well priced at ~£175, it's even cheaper than the recommended TN Film models discussed above! The P-MVA panel technology from AU Optronics offers some excellent all round performance, with decent response time, viewing angles, black depth, and even relatively noise-free and smooth movie playback. This technology really offers some nice all round performance and can offer improved black depth and movie playback compared to the IPS screens discussed before. Some variable build quality and less known branding has meant the Belinea is not quite as popular as it could have been given the price, but it is still well worth a look in this sector. 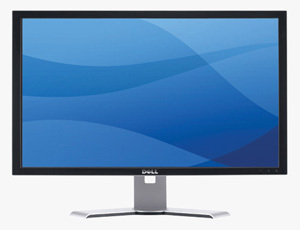 The non-DVI model is also available at a similar price if you can't source this model - look for the 102030W. The 20" market has probably hit its peak now, and I doubt we will see much in the way of new models being released. It's begun to see an influx of cheap TN Film based models which really make releasing other technologies a difficult task for manufacturers. There is also the issue that 22" models are becoming widely available at very low price, and many users are being drawn to the extra 2-inches of screen size available. I doubt many manufacturers will invest much time in the development of any new technologies in this bracket either, and we probably won't see much in the way of LED backlighting, BFI, MPA, 120Hz technology or anything new on the horizon. See this article for a look at new technologies expected this year, but I doubt many of them will make their way into the 20" sector. The one exception so far is the Samsung XL20, a 20" LED backlit model which is probably going to be at too high a price tag to make it popular for anyone other than professionals. Given this article is aimed more at the general public, I don't think we will see much more in this sector at all. It's only been in the last 6 months or so that we've really started to see a steady influx of 22" models into the market. This sector has been characterised by low cost screens based on TN Film panels. In fact, TN Film dominates the 22" market exclusively at present, and with costs as low as they are for these models, I would imagine it will be hard to introduce other technologies and still compete for business. The 22" screens obviously offer one advantage over 20" models - the extra 2 inches of screen real estate. However, bigger is not necessarily better in everyones eyes, and the main complaint seems to be the larger pixel pitch of 0.282mm which means text is larger and image may not be as pin sharp as the smaller models. 22" screens only offer the same resolution as 20" models (1680 x 1050), and the jump in size is not accompanied by a jump in resolution. This is a very similar situation to the change from 17 to 19" models we saw a few years ago. In practice, pixel pitch is not really an issue, and 22" models are perfectly comfortable to use. The main issue is the fact that all models are TN Film based, and so this sector cannot offer the variety of performance you can find in the 20" range. Still, models offer low response times, decent colour reproduction and black depth, and good general performance. Viewing angles are probably the main area where TN Film is still weak, but for most average users it isn't really going to be a major problem. TN Film panel, 2ms G2G response time, 3000:1 dynamic contrast ratio, 300 cd/m2 brightness, 160/160 viewing angles. TN Film panel, 2ms G2G response time, 3000:1 contrast ratio, 300 cd/m2 brightness, 170/170 viewing angles. 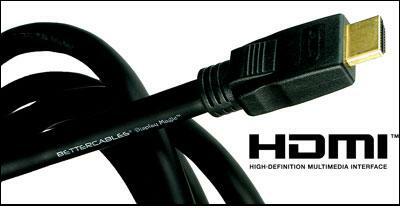 DVI (HDCP support) and VGA connections. Tilt and swivel adjustments only. 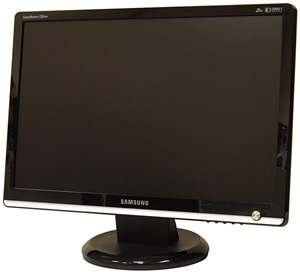 The Samsung SM226BW has been a recent edition to the 22" range, but is already proving extremely popular. The screen offers an attractive design, decent build quality and an impressive spec. While the majority of the 22" sector uses 5ms rated TN Film panels, largely without any form of RTC, the Samsung uses some additional overdrive control (Samsung's Response Time Accelerator / RTA) to boost grey to grey transitions to 2ms. This is something which was also tried before on the Asus MW221U, somewhat unsuccessfully sadly. However, with the SM226BW this has a positive impact on responsiveness in practice, and the SM226BW is well regarded in this field. Some confusion over the panels being used has put off some users, but should not be dwelt on. See this news article for more information on this situation. The Samsung SM226BW retails for ~£265 and is definitely worth a look if you want a 22" model. Given that this is approximately the same price as the 20" Dell 2007WFP, it's easy to see why users are fast becoming attracted to the larger screen sizes. 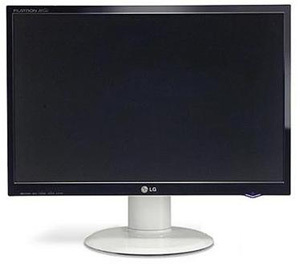 LG have also recently launched their new L226WTQ model into the market at a very impressive ~£210. Offering a 2ms G2G response time, matching the Samsung SM226BW, the LG also provides a dynamic contrast ratio of up to 3000:1, VGA and DVI interfaces and a nice design. Again, ergonomics are somewhat limited, but at the price, you can't really complain. Build quality, materials and support tend to be good from LG, making this a firm favourite amongst the buyers. DVI (HDCP supported) and VGA connections. Tilt adjustment only. The Dell models always seem to appear in every sector when discussing the most popular and best models to look at. The 22" E228WFP is no exception, being an attractive option for those looking at this diagonal. 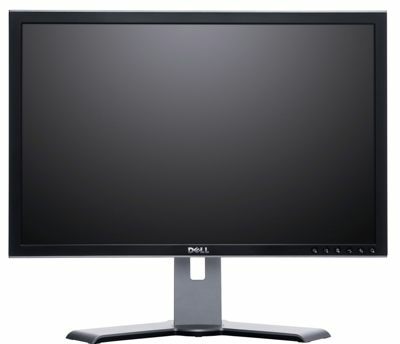 Again, Dell's reputation has helped establish the E228WFP as a popular choice; and the sleak design and decent (although average in this sector) spec have attracted many buyers. The response time is a little behind that of the other models discussed here, but remains adequate for many users. Priced at ~£250, the Dell is reasonably basic in design and ergonomics, but this can be said for the majority of the 22" market really. The price puts it at a lower cost than the smaller 2007WFP but will not compete on functionality, connectivity or performance. We've already seen a mass influx of models into this sector, and manufacturers have recently stated their intent to concentrate on 22" displays, and move away from the 20" market. I'd expect this to continue over the coming year, with new models hopefully offering more ergonomic and connectivity options. Since all the models available so far are TN Film based, it will be hard for manufacturers to introduce VA or IPS based models since it will inevitably mean higher prices. There have been rumours of P-MVA panels from AU Optronics in this size, but it remains to be seen whether this will happen and whether manufacturers will use them. My feeling is that we will only see TN Film in this sector for quite some time. On the plus side, costs should remain low, and prices will hopefully continue to fall. This may also force manufacturers to focus on other areas like design and features, and hopefully we will see more models like the impressively designed Viewsonic VX2245WM, offering a wide range of multimedia options and extras. I doubt we will see much in the way of new technologies in this sector either, with LED backlighting, BFI, MPA, 120Hz etc probably all being saved for the larger market. A couple of years ago, the 24" market was really out of the budget of the majority of users. Models were available but were usually around the £1000 mark, if not more expensive. With the release of the Dell 2405FPW we started to see a bit of a change. Dell were able to offer a high end, and extremely impressive, screen at a reasonable <£1000 price. 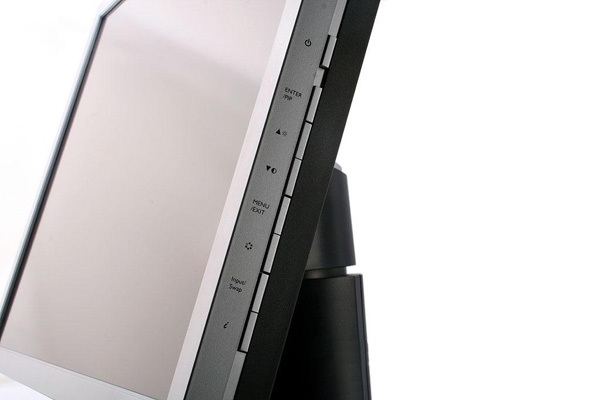 Some users longed for the extra screen size and resolution, and the 2405FPW quickly became THE choice in the 24" market. This was at a time when 17" and 19" monitors were the most popular, before the 20" market really kicked off, and certainly before we started seeing intermediate models like the current 22" range. Nowadays, the 24" market is starting to become increasingly popular, and this looks to be the focus area for manufacturers developing new technologies this year. 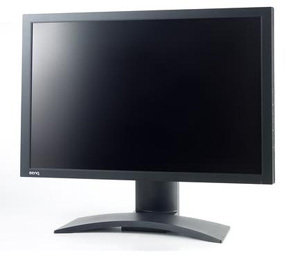 For instance, BenQ introduced their Black Frame Insertion (BFI) technology last year in their FP241WZ. Samsung look like they may will introduce their MPA technology in a 24" model at some point, but at this time it's unclear which model and how it will function. Nowadays, buyers are being increasingly drawn to the 24" market, with prices now pretty reasonable (some models now cost the same as I paid for my first ever 17" model many years ago!). 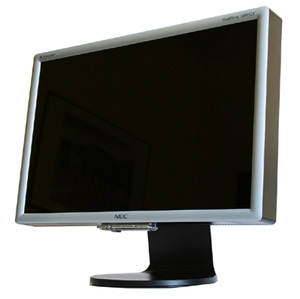 Users are attracted to the large 1920 x 1200 resolution, extra viewable area and added features which are offered on many of the models available. One thing to consider is that it might take a powerful graphics card if you intend to game much on a 24" model, since you're asking it to support a larger resolution than a 20/22" model. Like the 20" market, the 24" range started out being completely free of any TN Film based panels, and users were happy with the performance advantages which PVA, MVA and IPS panel technologies were offering. Recently, Samsung have released a 24" TN Film panel (the LTM240CT01) which has in turn allowed monitor manufacturers, including Samsung themselves, to release cost effective 24" models based around this technology. 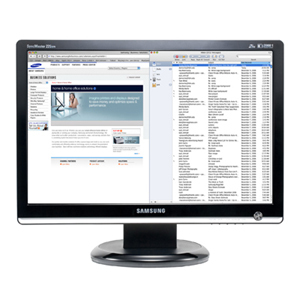 The Samsung SM245B was the first, and has recently been followed by the Acer X241Wd. Others are sure to follow. TN Film panel, 5ms response time, 3000:1 dynamic contrast ratio, 400 cd/m2 brightness, 160/160 viewing angles. DVI (HDCP supported) and VGA connections. Tilt, pivot and height adjustments. TN Film has progressively made it's way into each montior sector, helping to drive production costs down, and in turn drive the price of screens down. Users who can accept a performance sacrifice compared with VA/IPS based panels are attracted to the low price, and increasingly large screen sizes. While TN Film is new to the 24" market, it should not be overlooked. If you want a screen for average office use, some gaming and general all round use, TN Film can still offer a suitable performance. It won't offer the wide viewing angles or 8-bit colour depth that VA/IPS panels can offer, but many normal users are perfectly happy with their 17, 19, 20 and 22" TN based models. There should be no reason why this can't continue into the 24" market. 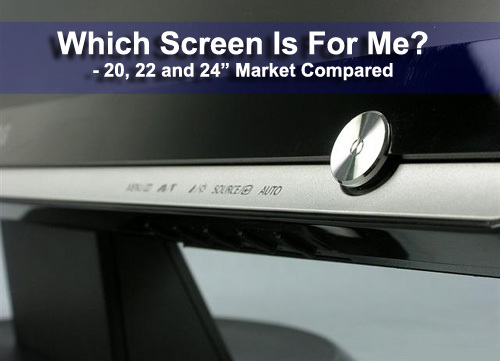 One other thing to consider with these TN Film based models is that they often offer limited connectivity and ergonomic features, certainly not competing with some of the more 'premium' VA/IPS based screens. 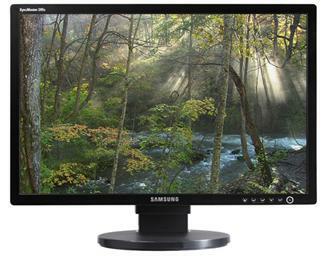 The Samsung SM245B is newly released but looks to be already a popular choice. Samsung offer reliable build quality and materials, and the TN Film panel should offer similar performance to its smaller counterparts. Retailing at ~£390 it is certainly very well priced and over £100 cheaper than even Dell's very well priced, and very popular, 2407WFP. It even offers height, tilt and swivel adjustments and dynamic contrast control (3000:1 max). It is well designed and well priced, so if you don't need the extra performance in certain areas that VA and IPS panels can offer, this would be an excellent choice. S-PVA panel, 6ms G2G response time, 1000:1 contrast ratio, 450 cd/m2 brightness, 178/178 viewing angles. P-MVA panel, 6ms G2G response time, 1000:1 contrast ratio, 500 cd/m2 brightness, 176/176 viewing angles. 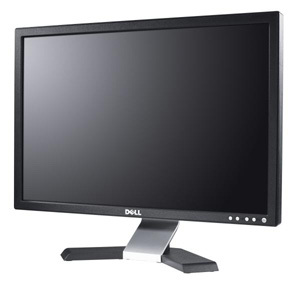 The Dell 2407WFP on the other hand really offers a staggering range of ergonomic and connectivity options, combined with an impressive panel and spec sheet. The 2407WFP followed in the footsteps of the 2405FPW model, offering, most noteably, improvements in response time and tweaks to the design. Being S-PVA based (a Samsung provided panel), the 2407WFP can offer wider viewing angles than TN Film based screens. Black depth is also very good (a strength of VA matrices), and the panel can offer a true 8-bit colour depth. Response time is decent thanks to the use of RTC (Response Time Compensation / Overdrive) technologies and the screen can really offer some very impressive all round performance. The screen retails for ~£490 and is probably the most popular model in this sector today. The 24" market is probably going to be the main area where we start to see the emergence of new technologies, and the investment by display manufacturers to introduce new models. We've already seen the introduction of TN Film which is a positive step from a price point of view. BFI has also been introduced and there is likely to be further investment in new technologies to improve the users experience. I'd expect to see the introduction of LED backlighting to improve uniformity and gamut range, and possibly 120Hz and MPA technologies to help reduce motion blur. Many 24" screens will probably become hybrids of desktop displays and LCD TV's, with HDMI interfaces surely being popular and widely used. This is also a sector where the introduction of 92% enhanced colour gamut backlighting may well be more widely used, since it's a premium which 24" price tags can justify. See this article as well for details of technologies coming soon. Hopefully this article will have helped you decide between the various screen sizes available today, and hopefully highlight some of the best models to look at. 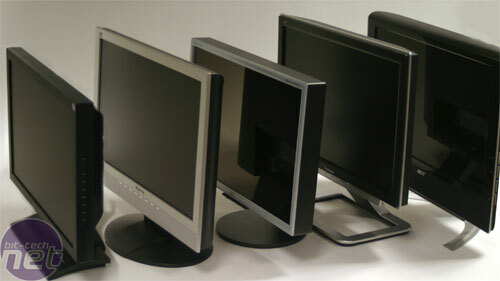 In the 20" market, there are some well established and impressive screens capable of meeting many different requirements. That sector has really seen a large amount of investment and probably hit it's peak by now. If you want something a little bigger and at a very attractive price, the 22" models are a nice stop-gap between 20 and 24". They tend to be limited at present in functionality, features and technology; but further investment is almost certain in this area. Expect 22" to become the norm in the near future! If you are looking for that extra size and resolution and really want a premium model, there are now some quite reasonably priced 24" models available to choose from. These offer impressive ergonomics, connectivity options and features; and look to be the area where new technologies will be introduced. The 20" Monitor Boom - So Which Is For Me?